One of the most amazing things about being a mom is watching your child learn. Lately Ethan has been very into his flash cards and is finally into books. We don't read the books mind you, he couldn't possibly sit still for that, but we look at the pictures and point out what things are. Lately, his favorite word has been "sunshine". He says it so enthusiastically that it just melts my heart. He's proud of himself and I love that. He'll find the sun flashcard and bring it to me. He knows exactly where all the sunshine pictures are in his books and he will flip straight to them solely so he can say "sunshine!". I thought I'd share with you some of the learning tools we have been using that I feel have made a huge difference. Sometimes flash cards can be a mess and can get ruined quite quickly. I thought that I could maybe make them a "no touch" object, but I'm sure you know how that turned out. We do use them a lot in the bath tub (obviously we hold them for him) but it seems to work as we have his full attention. Although we have several sets that have already seen better days, I have found two sets that I absolutely love and think will hold up for quite some time. 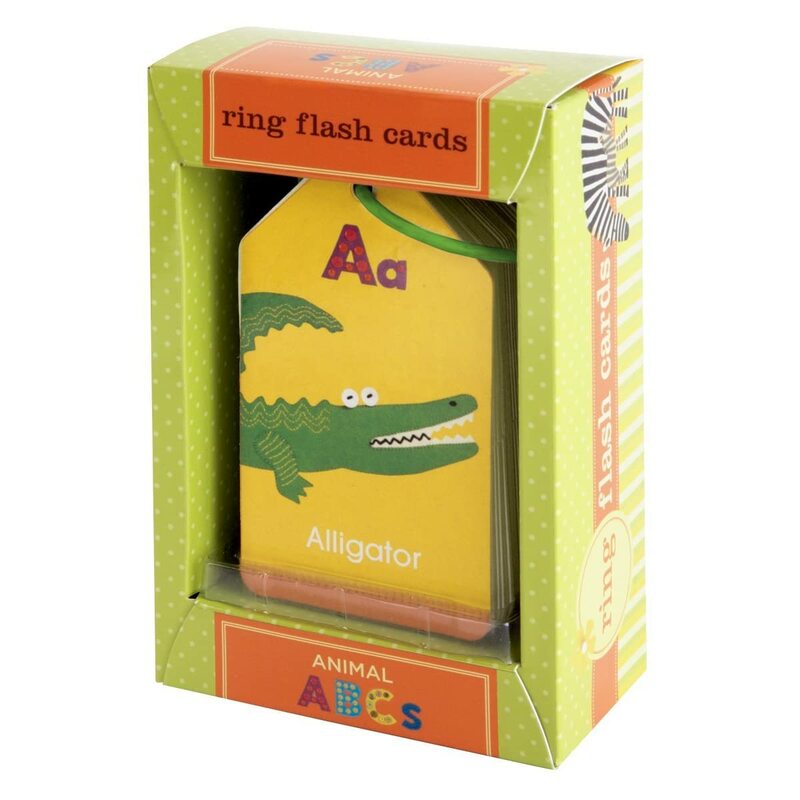 These flashcards are made of the board book material so they aren't bendable. They do come on a convenient plastic ring, but they do come off of it pretty easily. I actually have the first words set instead of the animal set, but you get the gist. 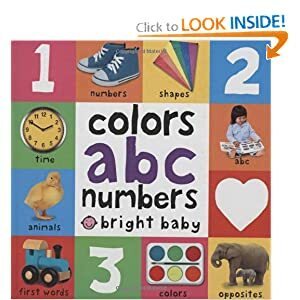 One of the first learning tools we started using was actually a DVD that was given to Ethan for his first birthday. I had my doubts, as we don't really use DVD's in this house, but he was absolutely enthralled with it and I have to say I thought it was put together very well and absolutely focused on learning. What's awesome about this video is that is shows a white background and flashes a letter across the screen multiple times saying it aloud. It goes through both upper and lower case and before it switches to the next letter it will show an animated version of the letter as well. It's really attention grabbing for little ones and I could tell an immediate difference. Ethan has mastered several of the letter and I'm sure if I were more religious about showing the DVD he would probably know them all. I look forward to trying out the other DVD's in this series as well once he is ready for them! Since Ethan is so into learning at this point, I decided to ordered a couple of books for his Valentine's Day gift. 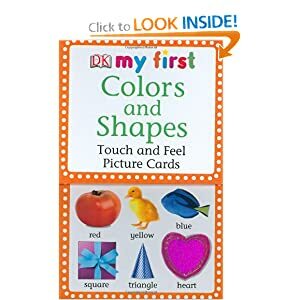 We had so much success with the My First Christmas Board Book that I'm just sure he will love these as well. Every kid is so different when it comes to learning and I'd love to know what you have had success with as I'm always looking for ideas. These would all make great Valentine's day gifts for your little ones as well since obviously candy is out at this point! I have been searching for some great learning tools for HUT recently - thanks for sharing! Is it sad that I haven't gotten Nolan anything for V-day? I have thought about it just not acted yet. He loves books so these might be some good ones to get! Love the new blog look! We have some flashcards that i haven't opened yet because I keep thinking she's too young. Sometimes I have a hard time judging these things and I am afraid I sometimes over/underestimate her. We have a DVD similar to that one .. it's a leapfrog letter factory one. I have many, many friends who swear by it for helping with the ABC's but again, we haven't busted it out yet. Evalyn is a book worm so we rely on books a TON and are starting to introduce some simple puzzles. Also, she' sreally into her shape sorters lately so now, instead of just hitting them and throwing the shapes and making the music, we are working on matching and colors and shape names etc. I think it's absolutely fascinating and amazing to watch them learn. Seriously, my husband comes home each evening and I tell him what W has done that day. I think this is such a fun age and they are such wonders. We are blessed, girl, so blessed! We have a couple of those books too. Does E have favorite books? We have a ton of books but I think it's funny how he has his "go-to" ones! 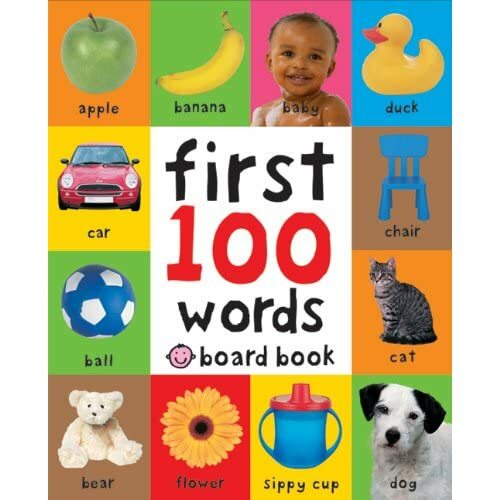 I already ordered the touch and feel flash cards for party of Layla's V-day gift. I am going to look in to the dvd that sounds great!